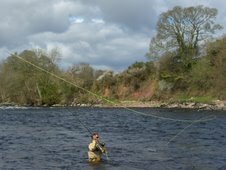 Salmon Fishing Scotland. 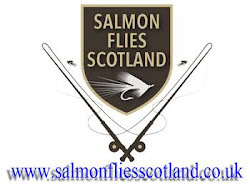 : Salmon Fishing Scotland Exclusive accommodation for one party of Fishermen or Shooters at Methven Castle, Perthshire, Scotland. 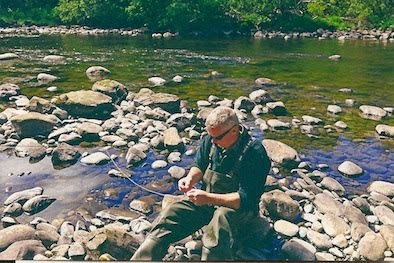 Salmon Fishing Scotland Exclusive accommodation for one party of Fishermen or Shooters at Methven Castle, Perthshire, Scotland. 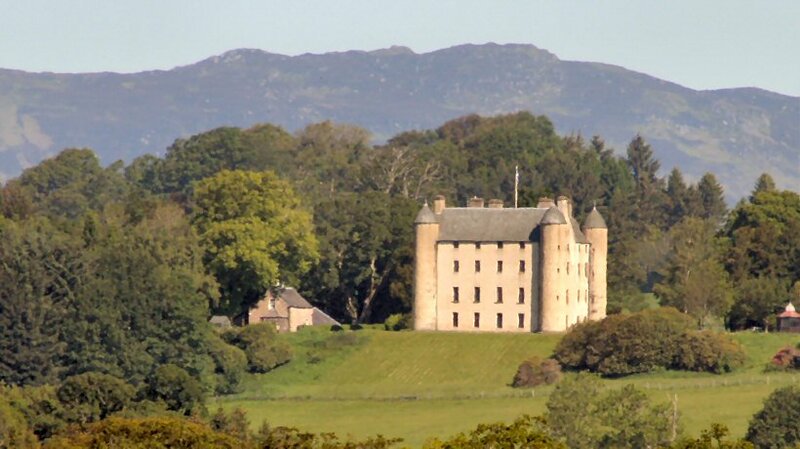 Exclusive accommodation for one party of fishermen at Methven Castle, dower house to Margaret Tudor Methven Castle, Perth, PH1 3SU. 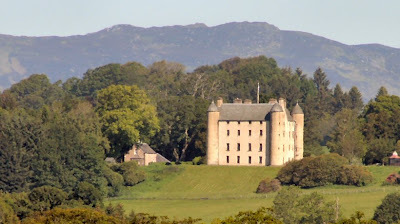 Methven Castle offers fishers a unique experience and you will be sure of a warm welcome at this 17th century, privately-owned castle in the heart of Perthshire. 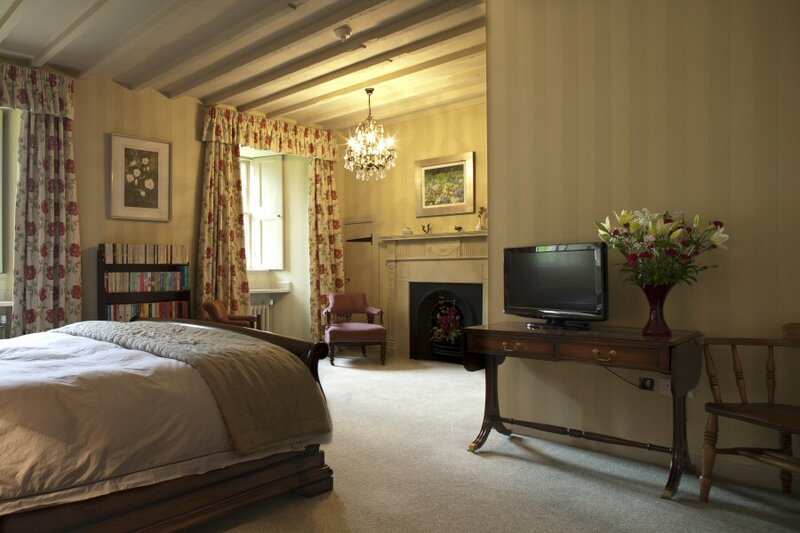 Your group will be the only guests staying in the castle so you can expect a very personal service. 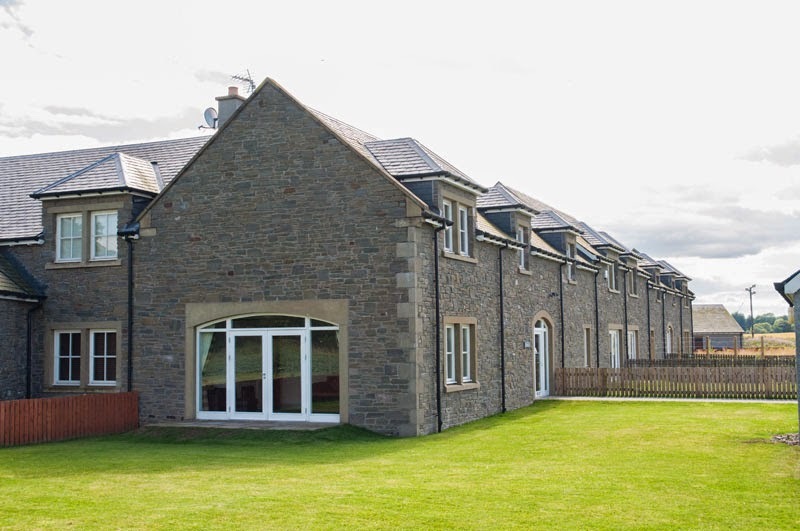 This family home offers flexible accommodation with preferential rates to fishers. 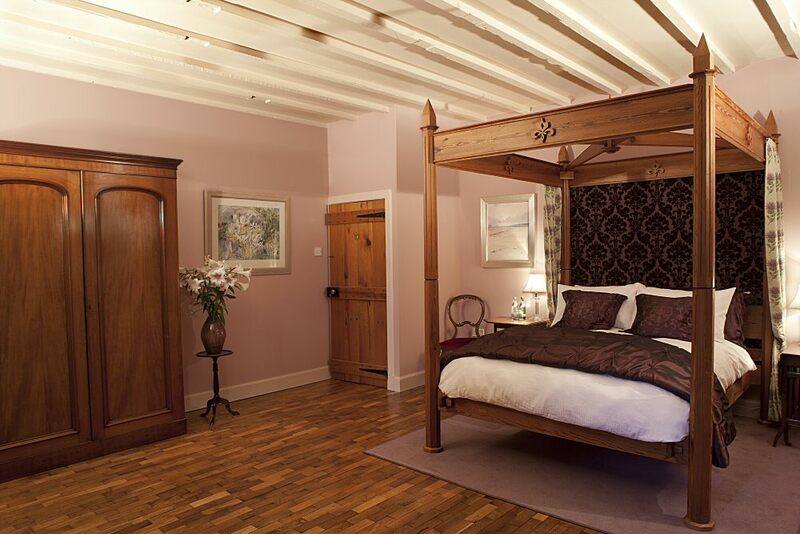 Choose to stay in the castle on a B&B basis or in the charming newly-built self-catering Tudor oak-framed cottage in the castle garden. Rooms in the castle are ensuite with complimentary Arran Arromatics, TV, and tea and coffee making facilities. The cottage has 2 comfortable ensuite rooms (1 double and 1 twin) and there is also a sofa bed on the upstairs gallery. Larger parties may opt for accommodation in the castle and the cottage. Fishers will be given a complimentary, daily-changing packed lunch each day to take with them to the river. You can expect delicious homemade soup to accompany your roll or sandwich and there’s always a choice of crisps, chocolate bar or fruit. 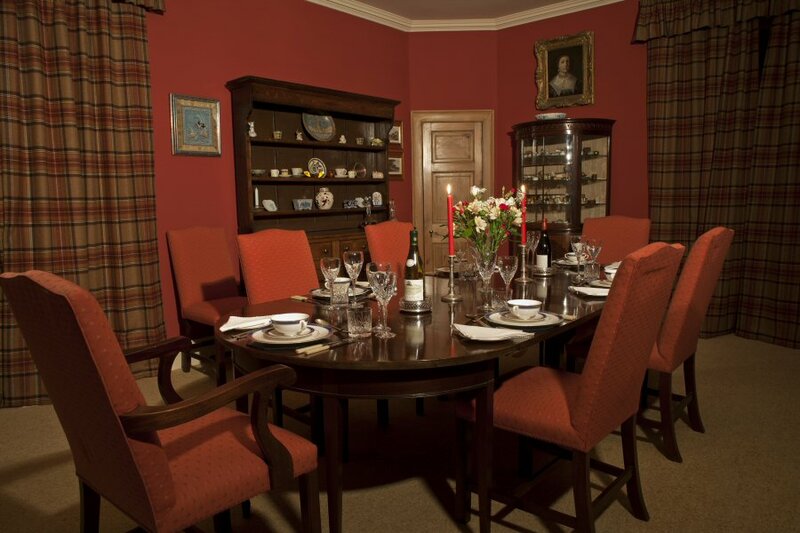 Dinner is available as you require from a simple meal to a 4-course dinner. Self-catering guests can also opt to have dinner delivered to the cottage, all ready to be popped into the oven and are welcome to dine in the castle. Methven Castle hopes to obtain a liquor licence in the foreseeable future. Until then, guests are welcome to bring their own tipples. A special rate of £100 pppn (normally £150) is available to fishers staying at the castle on a B&B basis. Stay for 5 nights and get the sixth night free including dinner. 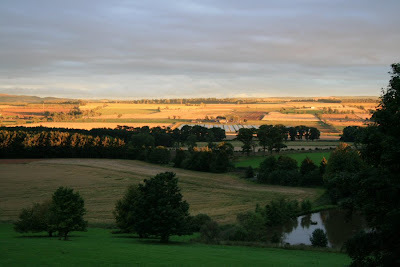 The holiday cottage is £400 for per week, for 4 adults. Packed lunches and dinner will be charged as required. 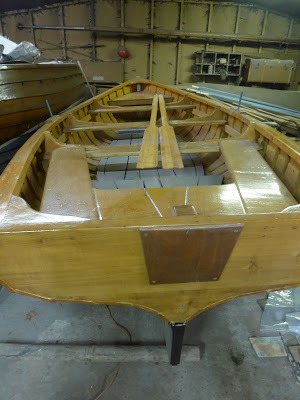 Shorter stays may be possible depending on availability. To benefit from these preferential rates, please quote "Salmon Bob” when booking. Salmon Fishing Scotland Labrador Dogs.